Prominent & Leading Exporter from New Delhi, we offer light weight deflectometer, balloon density apparatus, rotap sieve shaker, quicklime reactivity apparatus, computerized triaxial testing system and integral proving rings. Corresponding to “German technical test code for soiland rock mechanics in road constructions” TP BF-STP part B 8.3 from the German federal road research institute( Bundesanstalt für stra ßenwesen ) accredited compaction test according to ZTV E 2009 and ZTV A2012 (German supplementary technical terms and conditions of contract and guidelines for earthworks inroad construction and excavations in traffic areas) RIL836 German National Railway Company Deutsche Bahn AG Calibration record corresponding to German standard TP BF-STB part B 8.3 Detailed instruction manual in English. PC interface via USB socket charger for 100-240 V input voltages as well as car charger USB data transfer cable for reading out the internal memory via the PC switchable to 15Kg loading device. Individual data records with user-designed company logo and color coded settlement curves as A4 sized record. Statistical analysis of the tests in accordance with German standard TP BF STP part B8.3 detailed English user guide. Information cards with quick start guide in English. 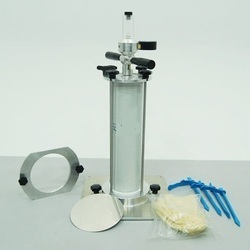 ZI-3089A consists of a graduated cylinder of 1596 ml capacity housed inside an aluminium guard, a reversible rubber aspirator pump, a density plate 9 inches square, and 12 rubber balloons. The principle of operation is similar to the sand replacement but the hole is filled by a rubber balloon where water is pumped. The amount of water can be easily determined by the graduation of the cylinder. The capacity of ZI-3089B apparatus is 3000 ml. A metal cylinder is filled with water which is then pumped into a rubber membrane mounted on the base of the cylinder. 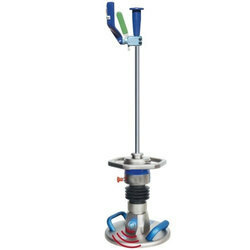 The water pressure is controlled by a pressure gauge and the volume of the balloon is measured on the graduated piston stem. 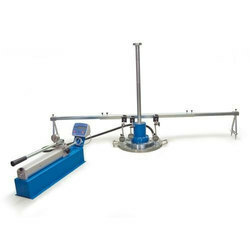 The Labtest Rotatap Motorized Sieve Shaker is designed to be used for 8” diameter sieves. 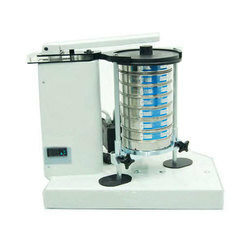 This shaker provides 278 oscillations and 150 taps per minute to produce an effective sieving action. The Sieve shaker provides a 2 dimensional shaking motion and can handle up to 6 X full-height 8” sieves and 13 X half-height 8” sieves. Mounting is not required. The reactivity of quicklime apparatus is used to determine the reactivity of ground quicklime on slaking. 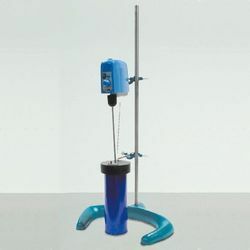 The apparatus consists of a dewar flask, thermometer, electric stirrer, base stand and the related accessories. To make process of sieving simpler and quicker, Rotap Sieve Shaker is useful, this produces circular shaking of the sieves. At the same time the sieves are tapped. The mechanism for imparting circular action and topping is oil immersed in a tank and in motorized. Determining the mechanical properties of soils is a very important step to design foundations,embankments and other soil structures. Building constructions, excavations, tunneling and similar applications have several effects on the subsoil structures and these effects are successfully simulated with Triaxial Tests where the stress-strain relation of undisturbed soil specimen are investigated by subjecting the soil sample to different stress levels and drainage conditions. 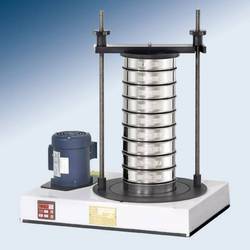 The Labtest Triaxial Test System provides automated triaxial compression tests on cylindrical undisturbed and remolded soil samples. Unconsolidated undrained (UU), consolidated drained (CD) and consolidated undrained (CU) compression tests can be automatically run, controlled and reported using this apparatus. For the UU test, the specimens (assumed to be saturated prior to test) are subjected to a confining fluid pressure in a triaxial chamber. Once the specimen is inside the triaxial cell, the cell pressure is increased to predetermined value by rotating the knob, and the specimen is brought to failure by increasing the vertical stress by applying a constant rate of axial strain. Saturation and consolidation are not permitted to keep the original structure and water content of sample untouched. Pore pressures are not measured during this test and therefore the results can only be interpreted in terms of total stress. These tests are generally carried out on three specimens of the same sample subjected to different confining stresses. 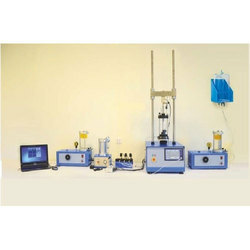 Can make test with displacement or load control. The Proving rings are made of special steel carefully forged to give maximum strength and machined to give high sensitivity commensurate with stability ensuring long life and accuracy. All proving rings are integral type viz, the loading(outside) bosses are forged integral with the ring body. 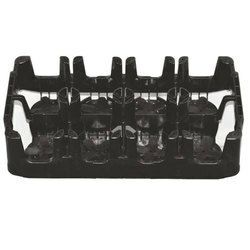 This ensures that there is no possibility of abutment shift and consequent loss of accuracy in reading that always exists with bolted abutments. 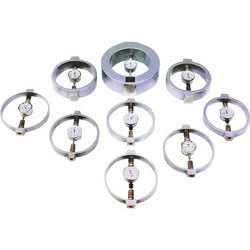 The dial gauge and anvil are mounted on U-brackets clamped to the ring body by set screw. The dial gauge is fitted with a special back cover and threaded bush. Which does not permit any shift from the original dial alignment, coaxial with the loading boss centres, that is set at the factory before calibration. For all compression proving rings and tension compression proving rings up to and including 5 KN capacity the loading bosses have female threading ½” BSP (16 TPI). The boss faces are ground and polished and are plane parallel to within 0.2mm total DTI run out. Tension compression rings have their integral loading bosses male threaded, 1.25” dia, 8 tpi square thread, 1.25”long. Caps are provided for use when loading in compression Repeatability is as stipulated in IS 4169 The rings are supplied complete with dial gauge and Works calibration Chart. Individually packed in polished wooden. Boxes. NCCBM Calibration can also be arranged for any proving ring at an additional cost.Proving rings to meet special requirements are also available on request. Separate polished and ground pair of Loading Pads for Compression Proving Rings and Pair of Shackles for Tension Proving Rings are provided to suit each proving ring, at extra cost. We are the leading manufacturer and supplier of Test Cylinder Carrying Case.